Property 1: Coedmor Barn, With Stunning Views. A charming traditional Welsh stone cottage set within a private courtyard. Property 4: A charming traditional Welsh stone cottage set within a private courtyard. 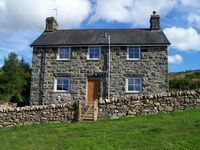 Property 10: Cosy 2 bed Apartment in Snowdonia set in the Foot Hills of Cadair Idris. Property 35: Showman's Wagon is a renovated 1950s fairground travelling-van for two guests.